Home » Sports » Other Sports » Why should sports betting be considered a skill-based game? Why should sports betting be considered a skill-based game? The move from conventional games such as roulette to skill-based games on online platforms has become increasingly prevalent in recent times. These games are a combination of the best attributes of video gaming in conjunction with high-level engagement and fun that is characteristic of betting. Sports betting falls in this realm of skill-based betting due to various factors that highlight that it is an amalgamation of both talent and chance. 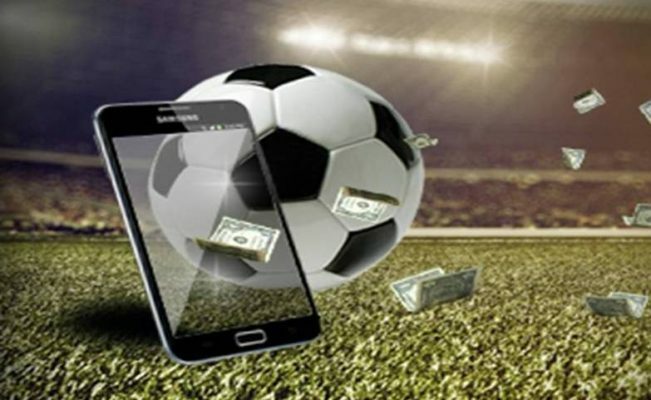 In recent years there has been a huge increase in the number sports betting sites such as Stan James Betting which shows the rising popularity of sports betting. The reason for this rise in popularity is that players know they can play the odds, sports betting is more than the element of “chance”, while chance plays a big part, it is not a dominant factor in the game. Typically, sports bettors collect and analyze data in large quantities to investigate the intricacies of the game. The probability of winning for each team is weighted, and then a bet is placed based on this analysis. In fact, sports bettors employ their superior knowledge of the game and players to place educated bets. Sports bettors also improve their probability of winning through other skillful methods, specifically, making bets to change the betting line of a game. This implies that a bettor wanting to place a significant bet on a particular team may initially place small bets on the opposing team to move the betting line to a more favorable position, and subsequently, they would place the winning bet on the intended side. In fact, sports bettors require a set of sound analytical and mathematical skills. Betting is a numbers game, and strong mathematical skills are required if your going to bet the bookies. Also, in-depth knowledge about sports is essential to place winning bets. A bettor who understands the various facets of a game is more likely to place the right bet. Gaining information about a game entails following it closely and understanding multiple aspect such as players, teams, historical performance, etc. It is crucial that bettors understand the concept of value while betting. This idea includes attributes of implied probability and expected returns. Again, the concept of value highlights that sports bettors need to possess high-level mathematical skills to succeed in placing winning bets. They need to control their emotions and make bets based on rational thinking. Further, bettors need to be disciplined financially to engage in healthy bankroll management practices. Sports bettors need to adopt a longer outlook as it is unlikely to have windfall gains in the short run. Strategic Financial management for sports betting entails that they allocate an amount specifically for betting purposes. According to ThoughtCo., sports betting appeals to the smart bettor it is not a pre-decided game wherein s deduct a fixed percentage. Sports betting require much more analytical skills and detailed knowledge of the game and teams than, say, a game like Blackjack. The skilled bettor has higher odds of winning compared to an amateur. There is a marked difference between skills and gambling. In gambling, the bettor does not have the statistical advantage which means that they are destined to lose in the long haul. Conversely, sports betting is based on statistical analysis and in-depth information about a game. This ensures that bettors can use a long-term strategy to improve their chances of winning. Sports betting is a skill-based sport that requires focus, patience, and discipline.